Our adapted apartment was double booked.when we arrived after a four hour journey we were told it was given to someone else. My mother cannot walk. We come every year to celebrate her birthday. She's 85. £825 was the price for 3 night half board. We received no refund, no apology and no replies to our complaint even from The Managing Director. We are Premier Members. Be warned. Butlins are the Pits!! This was my second year at Butlins and both occasions the grandchildren thoroughly enjoyed this and asking to return again next year. The room was not clean and there was cob webs and spiders and stains on the settee and carpet. The children did not eat the meals and it turned out to be expensive spending on food outside of the hotels and having 8 children to consider this was very expensive. There need to be something done about the food cause the adults who eat suffered with diarrhoea and wind you would think the food is laced with laxatives. I will be asking Butlins for a discount for next year given the amount of money I had to spend on food. We stayed in a standard apartment in oyster bay. The room itself was great, modern, clean, and had everything we needed in it. Room 1- double bed, wardrobe kitchen, table and chairs. Kitchen consists of oven, fridge, cutlery and all cooking essentials. Please note there is no microwave, so microwaveable food/meals cannot be made in the apartment. There is also a ironing board and a iron. Room 2- bathroom. Bath/shower unit, toilet, sink and a clothes dryer. There is a big ledge and mirror that can be used to stand toiletries. Room 3- twin bedroom. Two single beds, bedside unit and a twin wardrobe with shelving unit. here is LOADS to do at Butlins, honestly we did not get round to doing everything in four days. There is a big fairground which has loads of rides, but our 3 year old is 1 meter and our 2 year old is under 0.9 meters so she was too small to go on anything but the merry go round, there isn’t much else there for a child under 0.9 meters to do. Although there is a tots fairground located inside the skyline pavilion which toddlers can go on which they had great fun on. We didn’t pay for any rides etc, the only cost was the fairground ‘games’ ie hook a duck. Shows are all throughout the day and consist of puppet shows, Billie and Bonnie shows and character shows. Our kids LOVED Billie Bonnie and Billie and Bonnies rise and shine show is great for the morning when Mum and Dad want to chill and have a coffee and the kids can dance about and burn off the morning excitement! While we were there ‘Cinderella Rocks’ was the panto. I must admit it was bloody FANTASTIC! Me and my partner were in fits of laughter! This panto I would actually pay to go and watch as an family activity. A must see if it is on during anyone’s stay! Inside the pavilion there is a soft play area which is split into two sections for smaller kids and older kids. This is patrolled by staff so it means that kids stick to the right section which is great for both age groups to ensure nobody gets hurt! The staff were ALL brilliant. The redcoats well and truly live up to their reputation and everyone was lovely and welcoming. The girls in the fairy makeover shop gave my three year old a fairy makeover and we had a great laugh with the ladies working in the shop! The men in the hire shop were also brilliant and lovely, we donated our pram at the end as we didn’t have enough space in the car to repack it and didn’t mind giving it up as it was just a cheap one we had brought for the holiday (we may have brought too much billie Bonnie merch) and they were very thankful! The only downside is one which my partner would like me to add which is baby changing facilities for men’s access! The staff have said it’s fine for him to go through the ladies buildings when it’s a disabled/separate baby change room from the ladies toilets and if this is the case maybe a sign on the gents toilets saying so would be nice, as daddy’s change nappies too (sometimes....haha)!! Stayed in Atlantic section of Butlins. Suitable for small children particularly when trying to get them to sleep. The unit was clean but smelt of cigarettes. There was a punch hole in the corridor wall and the shower holder fell down, fortunately missing the child. We ate out mainly but decided to go to the Coast restaurant Sunday evening as they advertised a roast meal. It became apparent that this restaurant was for people who had paid a package which included breakfast and dinner. One of the chef's uniform was filthy, I was charged £17 per person for the most disgraceful food that has ever been presented. The food was only warm, there was a small roast beef with Yorkshire pudding and no roast vegetables. (We were there as the doors opened) I tried other food items but found them to be over cooked, unappetising , poor quality food and nothing appeared fresh. The other adults of the party also complained that the salad bar was poor with the coleslaw missing vital ingredients which made it dry and unappetising. The party left the restaurant in disgust and ended up buying food at another venue. I feel this restaurant should be inspected by the food standard agency and closed down until such time the food offered meets the required standard that everyone should be entitled. Beware your food package is poor standard. Rooms were of very good standard. Cleaned daily including fresh towels. Staff were quite friendly. We stayed in self-catering apartment not the hotel. We had them most amazing time here and everything was brilliant from redcoats to entertainment to accommodation to activities. I cannot fault it; we went for a long weekend and enjoyed it so much we have booked for a week this time next August. Kids can’t wait - nor can I! 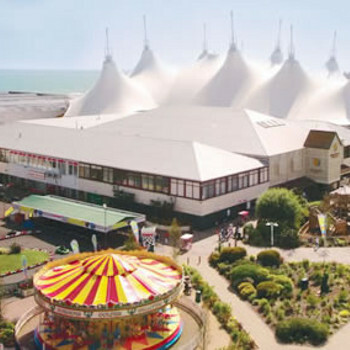 i just got back today from butlins bognor regis and i had a awful miserable holiday and will never go there again. i wish i never had to say that but its true and i wish i had found this site prior to booking because if i had i wouldn't have gone, i'm afraid to say i agree with the majority of commentators, which is a pity as i booked this holiday in December and my children and i were looking forward to it for six months very excitedly only for me to realise within an hour of arrival what a terrible mistake i'd made and the hell i'd have to endure for 7 nights. i found this site because after the relief of returning home tonight i wanted to see if it was just me that felt the way i did or not....oh how i wish i checked out the reviews before...readers take heed. We stayed in the brand new Ocean Hotel which had only been open for 10 days.The hotel was beautifully decorated and very contempory.We initially had booked a twin room but on arrival we were upgraded to a double room.The lifts all play disco music and have disco lights in them,so having a little dance in them is inevitable,however there were insufficiant numbers of lifts and we ended up using the stairs to prevent long queing times. The bedroom was fantastic again there was colour changing lights in the bathroom and above the bed!! the room also contained a mini fridge, tea making facilities, iron and ironing board and hair drier.The towels were changed daily although on one day the room wasn't cleaned despite the please clean me hanger left on the door all day,on phoning reception clean towels were imediatly sent up,and the room was cleaned when we went for tea,a complimentary newspaper was provided daily. The staff were all helpful and friendly.There was a large variety of options for breakfasts including cereal,full english and fruit,although at peak times 9am onwards again resulted in long queing times!!! Entertainment was average but ideal for children,we did enjoy the Micheal Jackson tribute,stars of x factor and George Micheal tribute,in between acts was sometimes a 45 minute wait,far to long!! !Drinks in the bars seemed expensive as was the restaurants on site,and be aware many activities are extra and it soon mounts up!!! overall an enjoyable few days away.